Over the last few years, many on the left have been trying to formulate a vision of socialism based on democracy. As a consequence countless papers and talks have been produced internationally about how socialism needs to be participatory if true freedom is to be achieved. Some have given this search for a form of democratic socialism evocative names, such as ‘Twenty-First Century socialism’, ‘socialism-from-below’ and ‘ecosocialism’. 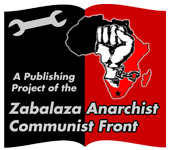 In South Africa the desire for a democratic socialism has also inspired initiatives such as the Conference for a Democratic Left (CDL); while even the South African Communist Party has outlined a need for a more participatory socialist agenda.